The 100% Copper .38 Special Tango round is the softest shooting revolver .38 Special round available. Great for small J Frame revolvers, with minimal recoil and maximum accuracy. 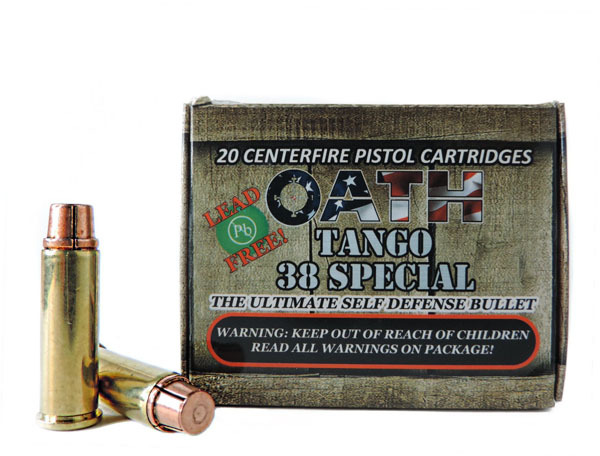 The .38 Special Tango Round produces the felt recoil somewhere between a 380 acp and a 9mm in a small semi auto pistol. The .38 Special muzzle energy is more than any JHP and just below +P rounds without the added risk of chamber damage and recoil. You will not find a softer shooting, higher power .38 Special round out there. Creating a wound channel of over 3 inches and a penetration of 11 inches in 10% FBI Gel, the .38 Special Tango round is one of our most popular rounds that stands far and above our competitors.